HireDegree Inc. is a corporation formed pursuant to the Business Corporations Act R.S.O. 1990, CHAPTER B.16 in Ontario, Canada. In consideration for permitting your access to our website and online services and other good and valuable consideration, you agree as follows:These terms and conditions (the “Terms“) form a legally binding agreement which govern your access to and use of HireDegree Inc.’s, (“we“, “us” or “our“) websites hosted at www.yoapress.com, www.yoa.ca, www.youronlineagents.com and other domains and sub-domains (the “Website“) and our services in which we build websites for real estate agents and other professionals (the “Service(s)“). There are provisions which limit our liability and impose obligations on you. You must review these Terms, along with any policies incorporated by reference before using the Website and Service.By using our Website and Service, you, the user (“you” or “your“), represent and warrant that you have read and understand these Terms and agree to be bound by them. If you are using the Website and/or Service on behalf of, or in the employ of, an organization (corporation, trust, partnership, etc. ), you are agreeing to these Terms for that organization and representing and warranting that you have the authority to bind that organization to these Terms. In such a case, “you” and “your” will also refer to that organization and yourself individually. For greater clarity, both you as an individual and your organization are legally bound by these Terms which form an agreement between you and HireDegree Inc.
We specialize in providing real estate agents and real estate businesses with advanced custom websites. If you are a real estate agent or a real estate office, our graphic designers and programmers can help you build a personalized website integrated with either the Real Estate Board Feed or the Canadian Real Estate Association (“CREA”) Data Distribution Facility (“DDF”). A CREA DDF integrated website allows you to display not only your own client listings but certain listings across Canada as well. Our prices to build and host your website are customized to your needs. To receive a quote by email, please contact us at http://yoapress.com/contact-us. All quotes are subjection to the addition of applicable sales taxes. Unless otherwise stated on the quote, or by email, our quotes are open for acceptance for a period of thirty (30) days and require a minimum term of one year. You agree that if we issue an invoice to you, which remains unpaid for a period of thirty (30) days or longer, we may remove, without any liability, any website(s) we created or host on your behalf from the internet until such time as your account is brought into good standing. EVERYTHING ON OUR WEBSITE AND PROVIDED AS PART OF OUR SERVICE OFFERINGS ARE PROVIDED “AS IS” WITHOUT WARRANTY OF ANY KIND INCLUDING ALL IMPLIED WARRANTIES AND CONDITIONS OF MERCHANTABILITY AND FITNESS FOR A PARTICULAR PURPOSE. WE HEREBY DISCLAIM ALL WARRANTIES AND CONDITIONS OF ANY KIND, WHETHER EXPRESS, IMPLIED OR STATUTORY. YOU AGREE THAT, WHILE WE STRIVE TO HAVE ERROR FREE AND UNINTERRUPTED WEBSITE AND SERVICE, WE DO NOT GUARANTEE THE ABSENCE OF INTERRUPTIONS TO BOTH OUR WEBSITE AND ANY WEBSITES WE BUILD FOR YOU, NOR SHALL YOU HOLD US LIABLE FOR ANY DAMAGE SUCH INTERRUPTIONS MAY CAUSE. If you are dissatisfied with our Website or our Service, or do not agree with any part of these Terms, or have any other dispute or claim with or against us, our affiliates, officers, directors, shareholders, employees, contractors, agents, suppliers or licensors, then your sole and exclusive remedy is to discontinue accessing and using our Website and, if you are a paying client, cancel our Service at the end of your current subscription period. In addition to your agreement to not hold the above entities and persons liable for any damages, in the event a court or arbitrator of competent jurisdiction declines to uphold said clause, you agree that in no circumstances shall the aggregate liability for any and all claims relating to or in any way arising from the use of our Website or Service, or in any way related to these Terms, be more than the amounts paid by you to us (if any), over the preceding six (6) months from the date of your claim. You agree and acknowledge that access to our Website and Services, and if you are a paying user, the fees paid by you, reflects the allocation of risk set forth in these Terms and that we would not enter into this agreement or grant access to the Website or our Services without these restrictions and limitations on our liability. YOU ACKNOWLEDGE THAT WE USE, AMONG OTHERS, THIRD PARTY PROVIDERS TO HOST CLIENT WEBSITES, EMAIL AND OTHER INFORMATION. WE ALSO MAY OBTAIN INFORMATION TO BE DISPLAYED ON YOUR WEBSITE FROM THIRD PARTIES, INCLUDING BUT NOT LIMITED TO CREA. TO THE FULLEST EXTENT PERMITTED BY LAW, WITHOUT LIMITING THE GENERALITY OF THIS SECTION, OR ANY OTHER SECTION LIMITING OUR LIABILITY, YOU AGREE THAT WE SHALL NOT BE RESPONSIBLE FOR THE ACTS OR OMISSIONS, INCLUDING THE NEGLIGENT ACTS OR OMISSIONS, OF OUR INDEPENDENT CONTRACTORS OR THIRD-PARTY SERVICE PROVIDERS. NOR SHALL YOU HOLD US LIABLE FOR ANY OF THE DATA OR INFORMATION FOUND ON WEBSITES WE BUILD FOR YOU, INCLUDING BUT NOT LIMITED TO DATA OR INFORMATION PROVIDED BY CREA OR ANY OTHER THIRD PARTY. Our Website and work product arising from our Services contain open source and public domain content, licenced content as well as proprietary content owned by us and by third parties. You are not permitted to copy or distribute any content (including but not limited to text, software code, images, trademarks, videos and audio) on our Website or resulting from our Services without the express consent of the owner. All other contents of the Website and our Services, including but not limited to, the software code and any work product we create as a result of performing Services or building websites for you, is the property of HireDegree Inc. and/or our independent providers of content (“ICPs“), as applicable, with all rights reserved. For greater certainty, all rights, title and interest in and to our Website, and all work product resulting from our Services, are and will remain the exclusive property of HireDegree Inc., including but not limited to, all intellectual property rights. 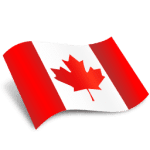 Our Website, work product resulting from our Services and their contents are protected by copyright, trademark and other laws of Canada, the United States and foreign countries. Except as expressly permitted by us, you may not reproduce, modify or prepare derivative works, distribute, sell, transfer, publicly display, publicly perform, transmit, or otherwise use our Website or the work product resulting from our Services. Without limiting the generality of the foregoing, you agree not to copy or modify the software code used on our Website or websites or applications we create for you under our Services. You are not permitted to use any trademark or trade name of HireDegree Inc., including our logo(s) without our express permission. Nor shall you be permitted to use any of our software code or other proprietary property without our express written consent. Upon the termination of our Services, you agree and acknowledge that all work product created by us, whether to be used on your website(s) or not, remains our exclusive property and you have no right to use such property beyond the term of our agreement. Our Website and the website(s) we may create for you under our Services, permits you and other users the ability to upload and post content (“User Content“). We do not pre-screen User Content uploaded to, or provided by you for us to upload on your behalf. You hereby grant us a non-exclusive, transferable, sub-licensable, royalty-free, worldwide license to use any of your User Content that you post or provide to us to upload to websites we create on your behalf. However, we claim no ownership rights in your User Content. In addition to our Acceptable Use Policy, you agree not to use websites we create for you in any manner which may infringe copyright or other intellectual property rights of any third party or in any manner which is unlawful, offensive, threatening, libelous, defamatory or obscene. We may, but have no obligation to, remove content from your websites that we determine in our sole discretion to be unlawful, damaging, or violate any third-party’s intellectual property rights, these Terms or any policy incorporated by reference herein. Whether or not we are affiliated with sites or third-party vendors that may be linked to our Website or websites created as part of our Service, we are not responsible for their content (the “Linked Sites“). The Linked Sites are for your convenience only and you access them at your own risk. We provide links and references to material on other websites not owned or operated by us. Links found on our Website or websites which we created as part of our Services are not an endorsement and we do not represent or warrant the accuracy or truth of the contents of information found on said websites. You access those links and corresponding sites at your own risk. These Terms, all documents incorporated by reference and your relationship with us shall be governed by, construed and enforced in accordance with the laws of the Province of Ontario, Canada (and any Canadian federal laws applicable therein) as such laws are applied to agreements entered into and to be performed entirely within Ontario. You agree to irrevocably and unconditionally submit to the exclusive jurisdiction of the courts and tribunals of Ontario, Canada (including the Federal courts and tribunals as applicable therein) to settle any disputes arising out of or in anyway related to these Terms, all documents incorporated by reference and your relationship with us. If any provision of these Terms is found to be unlawful, void, or for any reason unenforceable, then that provision shall be deemed severable from this agreement. You can stop using our Website and Service at any time. However, the duration of your subscription and agreement to pay for a minimum duration of our Services shall be as set out in our quote or email to you, if applicable and if accepted by you. Where no term is established you agree to a minimum subscription duration of one year. Subject to our quote, thereafter you may pay for your subscription on a monthly basis and cancel your subscription on thirty (30) days’ notice to us. You agree that if we issue an invoice to you which remains unpaid for a period of thirty (30) days or longer, we may remove, without any liability, any website(s) we created or host on your behalf from the internet until such time as your account is brought into good standing. Your cancellation, suspension or termination of our Services shall not terminate this agreement. In particular, and without limiting the generality of the foregoing, any provision concerning the limitation of our liability, your indemnification obligations, settling disputes (including the jurisdiction and choice of law) shall remain binding. These Terms shall enure to the benefit of and is binding upon the parties and their respective successors and permitted assigns. You agree that we may assign this agreement to any successor or assignee, whether pursuant to the purchase of our Website and Service, the transfer of control of HireDegree Inc., or otherwise. Any new features that augment or enhance the current Website and Service, including the release of new versions, new products or services, tools and resources, shall be subject to these Terms. Continued use of the Website and/or websites or Services we provide to you after any such changes, shall constitute your consent to such changes. AS OUR WEBSITE AND SERVICE CONTINUE TO CHANGE, WE MAY, AT ANY TIME, REVISE THESE TERMS AND OUR POLICIES BY UPDATING THIS PAGE OR THE PAGE HOSTING THE RELEVANT POLICY. THE DATE OF THE LAST VERSION OF THESE TERMS IS POSTED ABOVE. AS YOU ARE BOUND BY THESE TERMS EACH TIME YOU VISIT OUR WEBSITE OR USE OUR SERVICE, YOU ARE RESPONSIBLE FOR PERIODICALLY REVIEWING THE AMENDMENTS TO THESE TERMS AND YOU ARE DEEMED TO HAVE ACCEPTED AND AGREED TO SUCH AMENDMENTS BY ACCESSING AND USING THE WEBSITE AND OUR SERVICES AFTER SUCH AMENDMENTS HAVE BEEN POSTED. IF YOU DO NOT AGREE WITH THE AMENDMENTS, YOU SHALL IMMEDIATELY STOP ACCESSING THE WEBSITE AND OUR SERVICES, SUBJECT TO THE TERMS PROVIDED FOR HEREIN. WE MAY ALSO UNDERTAKE TO SEND YOU NOTICE OF ANY CHANGES TO THE TERMS OR POLICIES.